Robin Wrote a Breastfeeding Book! One thing that many people don’t know about me is that I have always had a passion for writing. Before becoming a lactation consultant, I wrote curriculum for local museums and websites and wrote two unpublished children’s books. So when I was approached to write this breastfeeding book I knew that there was no way I could pass up this amazing opportunity. Supporting new families through their breastfeeding journeys has truly been my calling. I love my job and the adrenaline rush I feel when I have empowered a family and helped them to meet their breastfeeding goals. There is so much more to breastfeeding than just latching a baby to a breast. There are nuances, both simple and challenging, that help make this process enjoyable and seamless. We, as lactation consultants, have the honor to facilitate this breastfeeding process, when needed, and this book is just one step in that journey. 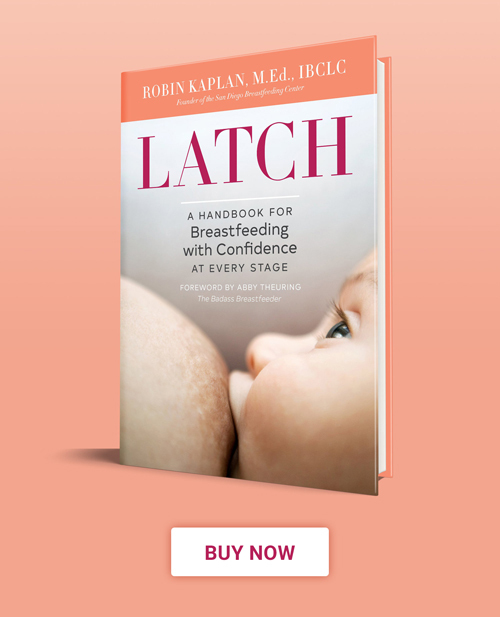 Latch: A Handbook to Breastfeeding with Confidence at Every Stage provides families with the supportive and educational basics they need while breastfeeding their children, from pregnancy to weaning. Over the next few weeks, I will be sharing some content you will find in Latch. This book is a great baby shower gift, for even the most seasoned-breastfeeding parent, as well as something you will want to buy even if you have already started breastfeeding. Latch is already available for presale on Amazon at: bit.ly/LatchBook and can be in your hands as early as March 13, 2018! Thank you for following along and I look forward to sharing more details about Latch over the next few weeks! Newer PostSo, What's in your Latch book, Robin?